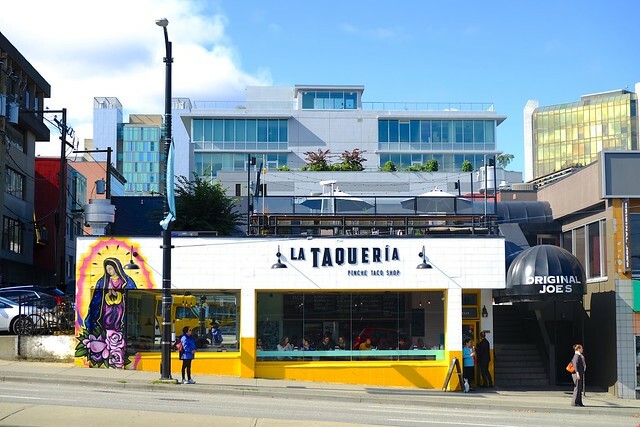 Fairview Slopes—La Taqueria Pinche Taco Shop, and the Vancouver taco brand in general, has been a steady staple in the Cambie Village neighbourhood along with the original Gastown location, newer ones in North Vancouver and Victoria in addition to their two upscale La Mezcaleria sister restaurants. 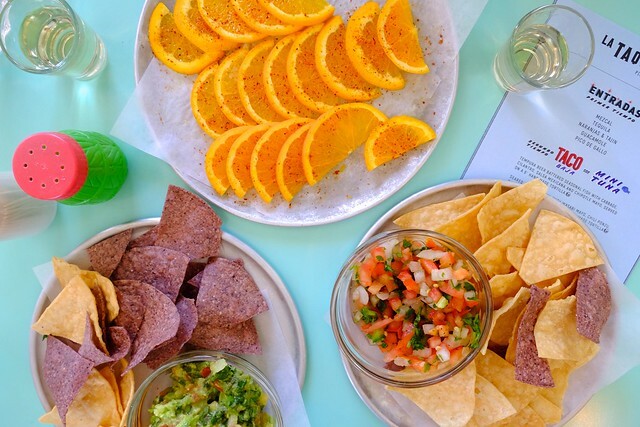 Last week, La Taqueria introduced a few new menu items including chips with guacamole and pico de gallo (very top) enjoyed with some mezcal, tequila, naranjas and tajin as well as two substantial and delectable fish taco options. 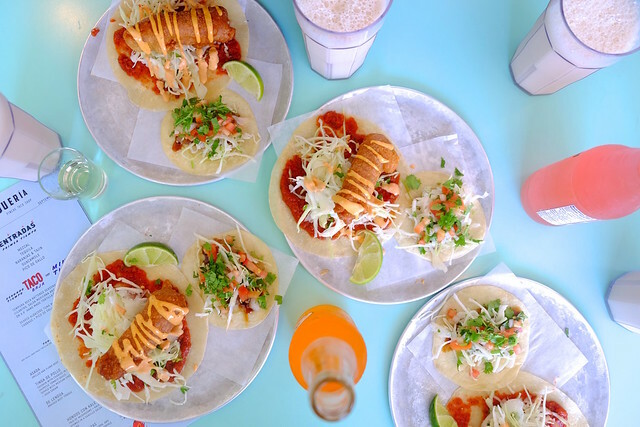 The Baja taco (with tempura battered fish, cabbage, cilantro, salsa, and chipotle mayo) and tuna taco (with seared Albacore tuna, wasabi mayo, chili ponzu, cabbage, pico de gallo), both served on handmade tortillas, were absolutely delicious and fresh tasting with a delightful mix of toppings. The preparation and combination of vibrant flavours did the trick. 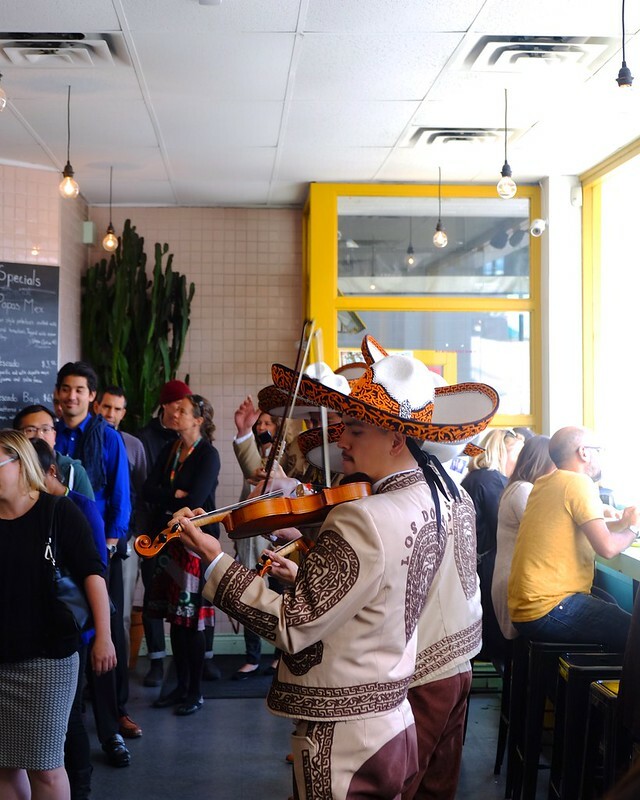 The Los Doradados mariachi band made a special appearance while pumping up the busy lunch crowd and capping off another upbeat and festive meal at La Taqueria. 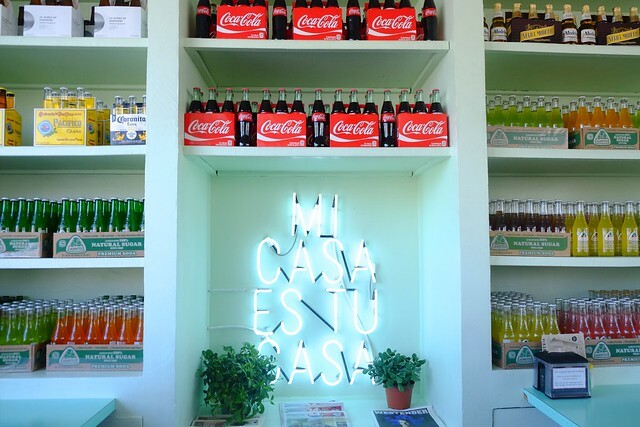 "Mi casa es tu casa."